Recently, she started to bite again, but not because she is teething. 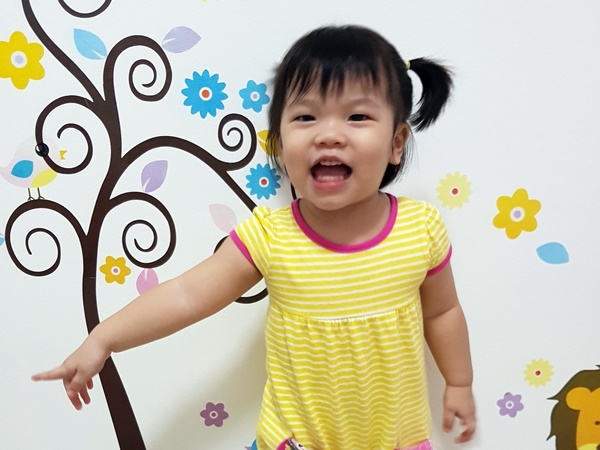 At times she bites for fun (assumption based on her smiling and the situation when she is playing with us and getting excited); at time she bites due to frustration (given then we try to remove her from something she wants / ‘force’ her to do something she don’t want). And this worries us. Was told that she once bite her classmate due to frustration as he/she has been disturbing her while she play. I was so panic I keep on attempting to apologies but the teacher told us since the other parents forgive her, I shall let it go as well. But I did what my mum generation did, although I know current era teachers aren’t allow to, and tell them to pat her palm or scold her if required. Luckily after a lot of “counseling” (every night I will nag at her that ‘Pain pain is not good. No one wants pain pain. If someone disturb you, say “STOP”, cannot bite’.). 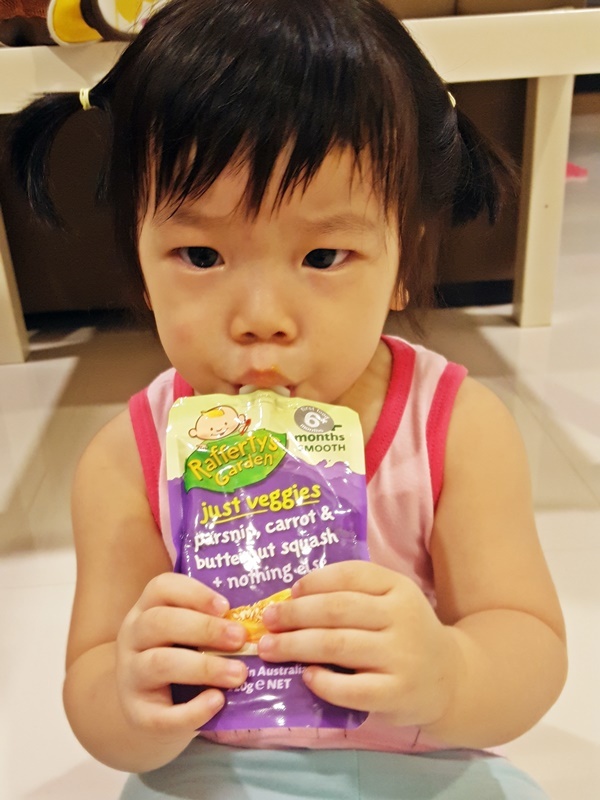 She can now consume the instant food by herself without any assistance from us. OH my! How fast my little girl grow! 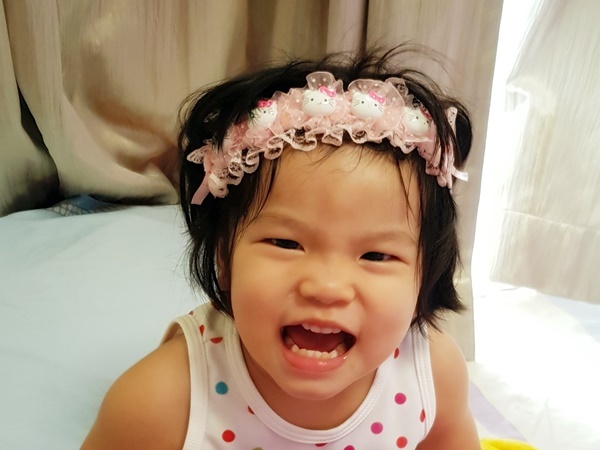 Sometimes she will do silly things like putting on the hairband on her messy hair and walk around. Really laugh die us! Independent also come with stubborn. LOL. 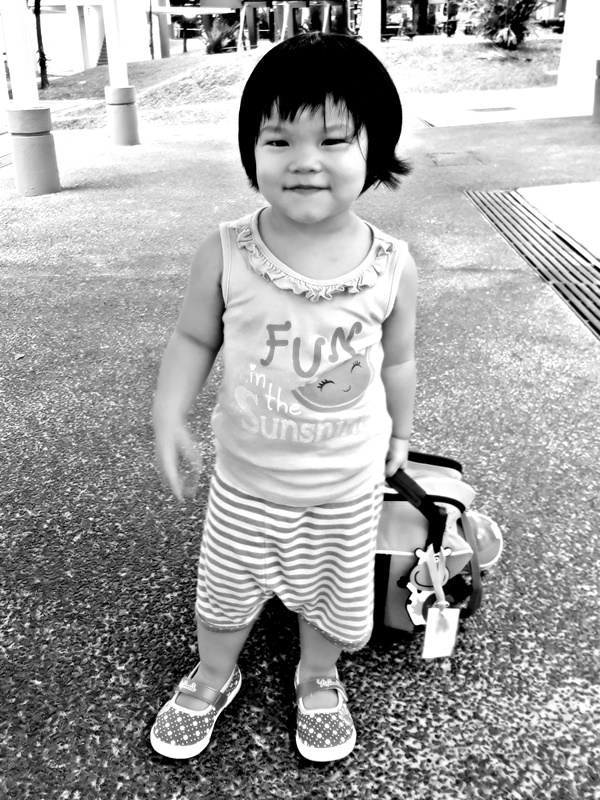 She insist to ‘carry’ (in actual fact she is dragging) her own bag. Wow! her smile is one in a million, she looks aggressive sometimes especially when she bites after being frustrated. The photography skills are on high levels too.